Free shipping to the US! Discounted shipping worldwide! Looking to give your FIAT 500 a power boost? This is a great solution! Proven Dyno Gains! 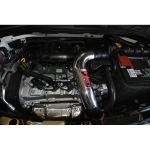 This intake is designed for the North/South American Model FIAT 500 (Manual Transmission only). This intake will not fit the Automatic Version of the FIAT 500 or the FIAT 500 ABARTH. 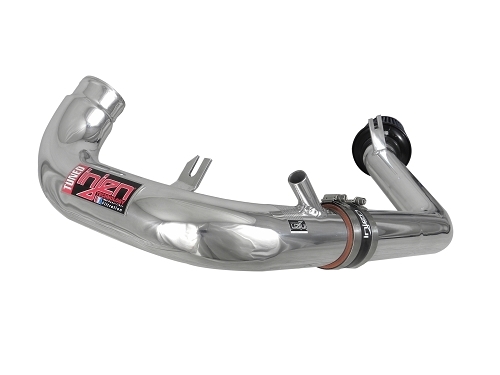 There are several brands out there when it comes to aftermarket air intake systems for your FIAT 500, but Injen leads the way in innovation, efficiency, and power gains. Injen Cold Air Intake Systems are more than just a high flow air filter on a less restrictive tube. 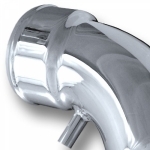 Featuring Injen's patented MR Technology, Injen incorporates a step process into their intake tubes (meaning they increase or decrease the diameter of the intake tube at strategic points to control airflow). This, coupled with the fact that Injen Injen Air Intakes incorporate your existing sensors, mean you won't have any check engine lights and it is safe for use on your FIAT 500. This "Factory Tuned" design means you won't need any tuning and makes this truly a bolt on system. At the end of the Injen Intake is the Injen High Flow Air Filter Element, which is relocated in the front of the engine, not behind. This strategic placement allows you to obtain colder air while still having the air filter protected from the elements. The Injen air filter that can be cleaned and reused for as long as you own your 500. An incorporated velocity stack smooths out airflow to help maximize power gains. Comprehensive installation instructions including photos make installation of your new Injen Intake easy enough to do yourself with basic hand tools in a couple of hours or less. Everything you need to install this air intake is included. 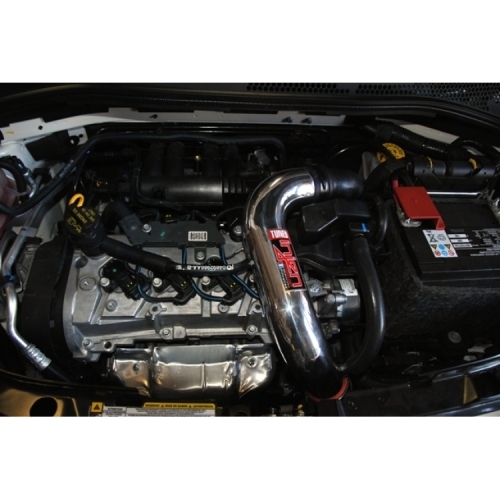 The manufacturer (Injen) states that their Cold Air Intake System for the FIAT 500 exceeds OE standards and as a result will not void any existing factory warranties that you may have. Additionally, you'll enjoy increased horsepower and torque, as well as improved throttle response. Fuel economy gains, especially during freeway conditions, are commonly achieved helping the unit to pay for itself over time. Injen Technology offers a Limited Lifetime Warranty to the original purchaser against defects in material and workmanship on all intake systems excluding the filter element. 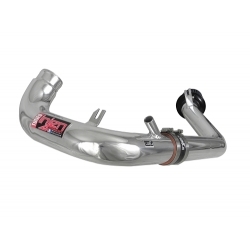 Injen Technology will replace at no charge, any intake pipe considered by Injen Technology to be defective. The warranty is void if the warranty card is not returned to Injen Technology within the first 30 days of purchase. Any and all warranty coverage is limited to the repair or replacement of the defective part only, at Injen Technology’s discretion. Proof of purchase is required. The warranty does not cover incidental or consequential damages, nor does it cover the cost of installation or removal of the defective part or its replacement. All warranty items must be sent freight prepaid with a valid RMA (Return Merchandise Authorization) number and copy of original invoice.